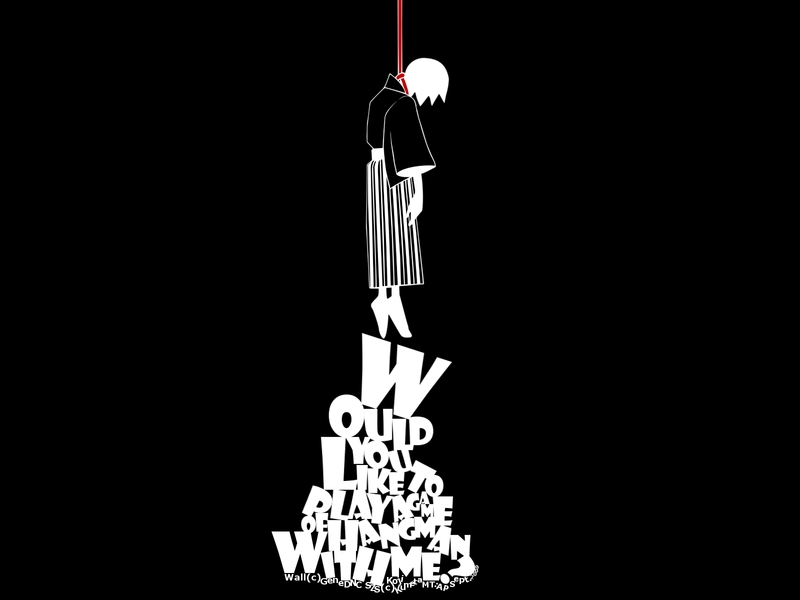 I've been wanting to make a Sayonara Zetsubou Sensei wall for a while, even though I've never seen the anime/manga. I like the artwork and wanted to make a simple wallpaper. I decided not to include any texture or pattern in the background to keep it as simple as I could, since whenever I attempt a simplistic wall it always ends up way too cluttered. I hope the vector lines are not too jagged, I struggled with them a little and they still looks a jagged on my desktop (1024 X 768) but seem fine at full view and 1280 x 1024. So let me know if you see a problem that I don't. Additional resolutions and wide-screen at AP. I hope you like it. Comments and faves will be appreciated. You're right there some jagged-ness but its not too much to worry about. To ensure I don't get jagged edges when I vector I make the wall at 200% the size I intend to submit it at, so in your case 3200x2400 then merge all the layers and then reduce the size to 1600x1200. Note* Its important to merge before reducing size. Loved the wallpaper! Simple, but very attractive! Any widescreen format ;D? It reminds me of the cover of Drake's album "So Far Gone," lol. I mean, they are pretty much the same as far as color scheme and placement. YOUR SKILLS AT MAKING WALLPAPERS HAS LEFT ME IN DESPAIR! i love this! the inverted colored itoshiki-sensei hanging on those words are so cool! cool wall!with darkness mood!i like it!10/10!thanks 4 sharing! Wow great job on the text! I just love the whole idea. Simple but brilliant.